Kirkby Moor, Furness Peninsula in Cumbria finally set free. Ignore the hundreds of $billions squandered on subsidies for a power generation system abandoned centuries ago, for pretty obvious reasons; ignore the chaotic, occasional delivery of power which, but for those subsidies, has no commercial value because it can’t be delivered as and when power consumers want it; ignore rocketing retail power prices in places like Denmark, Germany, Ontario and South Australia (all said to run on sunshine and/or breezes and all paying the highest power prices in the world); and ignore the millions of birds and bats, sliced, diced and belted to Kingdom Come each and every year. The N-I-M-B-Y charge levelled by eco-zealots tends to ring hollow, against the fact that no matter how many of these things get speared across the countryside, there will always – absolutely A-L-W-A-Y-S – be a coal or gas (or in South Australia and the UK, diesel) generation plant somewhere in the system, online, chugging away, burning fuel (or ready to do so in an instant) just to keep the grid from collapsing, whenever wind power output collapses on a total and totally unpredictable basis. And much hyped mega-batteries will continue to be ludicrously expensive, vanity signalling projects, re-delivering a minuscule amount of power, at the margins. 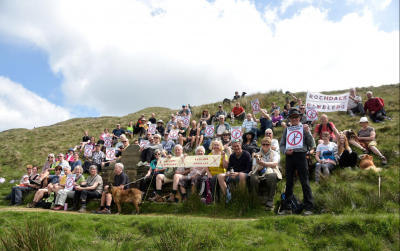 Wherever wind farms have appeared – or have been threatened – big numbers of locals take a set against these things and those ready to spear them into their previously peaceful – and often idyllic – rural communities. Awesome article, finally someone with enough guts to tell it like it is Thank you. Just wondering how STT made it through to the Google feed and headlined with all the other current news stories? I’m technology illiterate but this seems to be a rare occurrence. The story is no longer there, disappeared quite quickly considering trivial stories on the royals stay up for days. Am I imagining things or is it unusual for a STT post to appear ever so briefly on a Google feed? Thanks for your continued drive, knowledge, and confidence. We’d have been steamrolled years ago without you. Good old dont be evil Google. Parkinson gets his propaganda stories published pretty much every day. He’s now raving on about wind power coming to the aid of unreliable coal. His tactic is to take the strengths of coal and use those to describe wind power and then apply all the deficiencies of wind power to coal. Doesn’t mention some coal power stations are no longer economical to maintain due to wind subsidies. Merry Christmas, enjoy your break, you’ve earnt it. 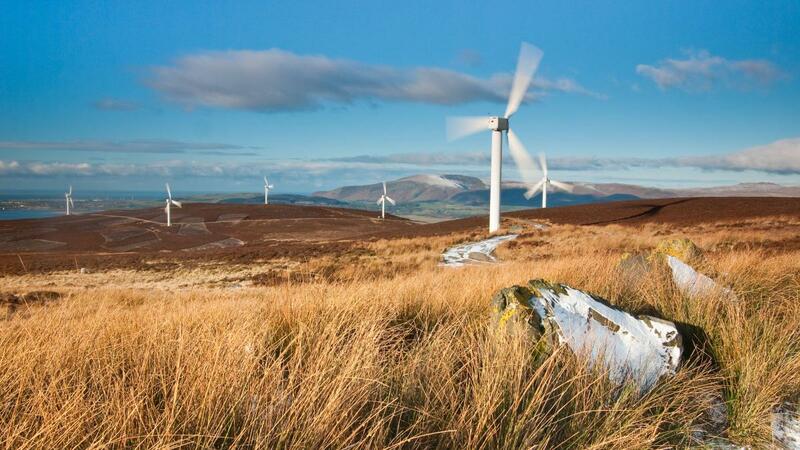 Despite claims that Councils do not have the power to stop wind farms this is not true. In Victoria Australia, Councils have the power to stop wind farm operation at many windfarms. This can be done by the Council requesting the the EPA measure the sound emissions against the Victorian Noise Policy or in a complaint of nuisance. When measured correctly by the EPA, most noise complaints would need to be addressed by shutting down and removal of the offending turbines. The reason for this to be possible is that excessive wind turbine noise cannot be addressed in low noise mode, as this limited to about one or two dB. Most locations that make complaints are predicted to be over 35dB. That means that if you can hear the wind turbine sound outside within 10 mts of your dwelling the wind farm is not complying to permit. The 5dB penalty for the presence of SACs eliminates the background plus 5 or 40 dB whichever is the greater limit, because the limit is reduced to 35dB by the removal of the 5dB. It must be noted that to hear the turbines operating it has to contain Special Audible Characteristics. Otherwise the sound of the turbine would not be heard, as the sounds are low enough frequency for the sound to be heard because of the swooshing. The swooshing was identified at all assessed locations at Waubra in the post construction monitoring report. Very simple really, and the Council have known this for years and done nothing. Probably because of rate revenue, or interference from the developer which would not be a legal process by either party. Our federal government is moving far too slowly in stopping this invasion by an industry that is unquestionably one of the greatest threats to our quality of life in the last 70 years. An exaggeration? Not at all. It will affect all aspects of our economy and our society and will do nothing to “save the planet”. The wind industry has sucked trillions of dollars from the economies of Germany, the UK, the USA and Australia. What did those countries get in return for their “investment”? An electrical system in various stages of collapse, backed up by of all things diesel generators, or very long extension leads into neighboring states or countries. South Australia peer reviewed Germanys sunshine and breezes electricity experiment and guess what? Same result – an almost unmanageable, bucking bronco of a grid that resulted in large scale blackouts and the highest power prices in the world. Yes, expensive, unreliable power in one of the most energy rich nations in the world. Tamworth had a better electrical system in 1890 than South Australia’s got now. I could go on about how unclean, ungreen and damned expensive they are but instead just picture life with electricity that you get when the weather decides you can have some. A little coffee shop, a dentist, a supermarket, a hospital or a major industry. No coffee, no refrigeration, no eftpos, no production line, patients stuck in a chair or part way through an operation – NO JOBS and the descent to third world status speeds up. Such fine writing! How anyone could read this and not dedicate their lives to ending this madness is beyond me. This article needs to be widely circulated. Please add Ontario to the list of “rocketing retail power prices”. No wonder the wind industry have fixed their sights on Australia. The UK have woken up to this scam. The threads are beginning to unravel. Time to play catch up Australia. Time to run this industry out of town and protect this magnificent country. Start with re-educating the hosts as to what is really at stake here. The hosts have it in their power to stop these developments in their tracks. If the wind farm developers cannot get the hosts on side, then they are stuffed! Unfortunately not necessarily so, the SA Government is and has looked at handing over ‘Crown Land’ if needed and would work to be able to ‘commandeer’ private land if they get a majority in the next SA Parliament. They have managed to get through many changes to Planning this term and will have no restraint to continue to remove South Australians rights to object to what ever they choose to do if they regain power. Getting rid of those in the UK which destroy the environment whether that is the Visual Amenity or the destruction of habitats does not mean our Politicians Federal and State are ready to open their eye’s to a future with unrestrained onslaught of this industry into the very fabric of our Nation. There has been little mention by Politicians that it is now obvious Wind cannot be relied on and that backup will always be needed. Yes some have moved to add flimsy patches to try and fix the problem but none have come out and said wind is useless lets start to reduce and remove their threat. None mention you need wind to continue to blow at Hornsdale for this so called battery saviour to be re-charged after the meagre amount it is able to offer has been depleted. force accountability on the developers, none mention the damage to the flora and fauna environment. No they just say lets put a patch on the weeping sore and hope for the best. When it’s obvious to anyone with a brain a complete severance of the cankerous limb is needed. Yes a return to the beauty and peace of any environment is welcome – but it would be a mistake to believe this will have a flow on effect. Eventually maybe, but not yet because our Governments and Legal bodies are not ready to accept they have been wrong. That is except for the ERD court in SA who stopped the Allendale East project on Visual amenity grounds. Only to have the then Labor Rann Government change the Planning Regulations to prevent such a decision ever happening again. Thanks for the reply Jackie. I was simply referring to private land. Not Crown Land. If for example the hosts at the AGL Macarthur wind facility had simply said ‘no’, then the developer would have had considerable difficulty getting the turbines up. Many lessons have also be learned from the ex hosts who have woken up to the scam. Let’s wait and see if the SA Weatherill government gets back in first. If the recent front page article on Nick Xenophon in the Australian newspaper is anything to go by, then the Weatherill government is going to have a fight on its hands. But I take your point that there is a lot at stake for SA in the coming election. Unfortunately, in the majority of cases in Australia, such a decision (extension of wind turbine life) is not in the hands of the local council. It is the province of the state planning authority (which is bound to carry out state government policy). In Australia, the power of the people is non-existent (except at polling time – and most state voters reside in the city and wind turbine intrusion does not bear on their voting decision). Local councils are more sensitive to the needs and desires of local folk. A recent case in point where Upper Lachlan Shire Council rightly rejected proposed local infrastructure construction that would unfairly impact on residents lives (the developers solution will undoubtedly be to increase the scope and cost to transfer decision making to the state planning authority where the developer has a proven success rate). But let’s congratulate the Lakes District folk and their council. And hope there is more of the same. Unfortunately, every trace of these abominations can’t be removed. The steel reinforced concrete basis will be in the ground forever, destroying the soil fertility and altering the hydrology.